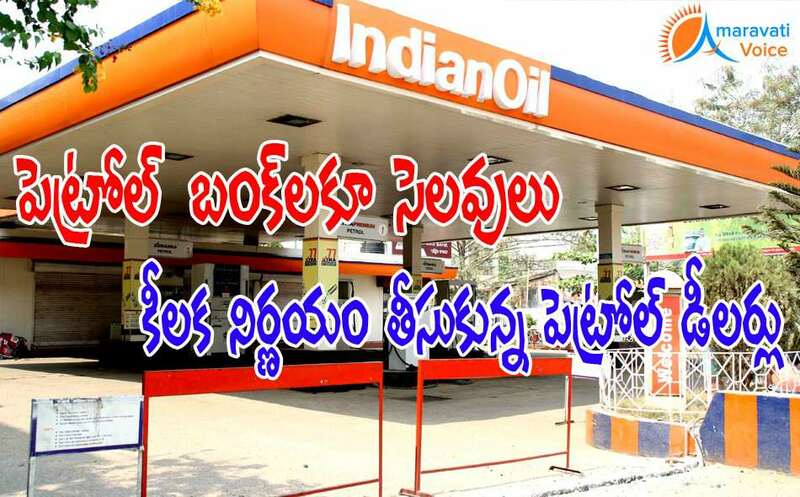 The petrol bunks in Andhra Pradesh will be closed on second and fourth Saturdays. In the same way, the bunks will be closed on all Public holidays. The Andhra Pradesh Federation of Petroleum Traders (APFPT) has taken this decision, based on the decision take by All India Petrol Bunks Dealers Association. Speaking to media persons at Guntur on Saturday, APFPT president R Gopalakrishna and secretary P Ravi Kumar said the Retail Outlet dealers of AP would abide by the resolutions adopted by the National Body of the Consortium of Indian Petroleum Dealers. Also dealers are mounting pressure on central government to implement the recommendations of the Apurva Chandra Committee, where it has recommended enhancing dealer margin, reducing working hours and closure of business on all public holidays are some of the recommendations. APFPT has threatened to launch a protest in a phased manner, if government is not responding.